For racing fans, the Cheltenham Cup is a significant topic of interest and every year many ecstatic fans gather at the Cheltenham Racecourse to witness the world's most top class riders and horses competing in a quest for the treasured Gold Cup. The 2019 Cheltenham Cup, also known as "the Magners Gold Cup", was the 91st annual running of the exciting festival and took place on the 15th of March 2019. 16 horses lined up at the start, trained and prepared for the main showpiece event, including some of the best horses to race. Last year's winner, Native River, also returned to try and regain the Gold Cup along with some others like Arkle, L'Escargot and Best Mate as being the only horses to win successive Gold Cups. 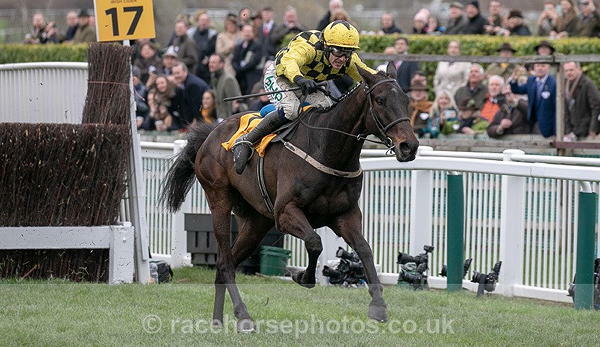 However, this year’s title was Al Boum Photo's to take and he turned out to be the most dominant winner of all in a Gold Cup that was well run and clocked a final time around 11 seconds faster than the Foxhunters. The trainer, Willie Mullins, turned out to be the most successful trainer in the festival, and previously finished second six times in the prestigious race. Mullins has been a prominent force in jump racing for three decades, with champion hurdlers such as Hurricane Fly and Faugheen, winning the Grand National thanks to Hedgehunter and saddling more Cheltenham Festival victors than anyone else! This year, he completely outdid himself and managed to snap the run 12-1 chance with Al Boum Photo, giving Paul Townend (jockey) a glorious moment of victory and fame and Mrs J Donelly (horse owner) their first festival triumph. A serious pattern has also been detected in the Cheltenham races - of the last 20 winners, 90% were aged 7-9 years and 85% of the horses placing in the last 20 races were under 10. Age may just be more than a number. Only seven years old, running on rain-softened ground, the gelding overcame Tony Martin-trained Anibale fly who was second 22-1 a year after finishing third, and Bristol 18-1 completing in third place. Trainer Mullins, who owns stables at Closutton in County Carlow, didn't expect to win and claims, "I had probably resigned myself to the fact that I would not win the Gold Cup". Little did he know he was in for a huge surprise. If you think you missed this tremendous experience to witness powerful steeds galloping upon shaking grounds, you're also in for a huge surprise. Due to the growing world of technology, fans anywhere in the world are able to access archived races and bet online on upcoming ones! Now all global horse-racing fans can enjoy the sport with just a touch on their screens, relive many memorable races and stream live races as well. Of course, the same exhilaration felt watching a race live at the racecourse won't be present, but this is as good as it gets!